11 maj, 2009 Säg något! 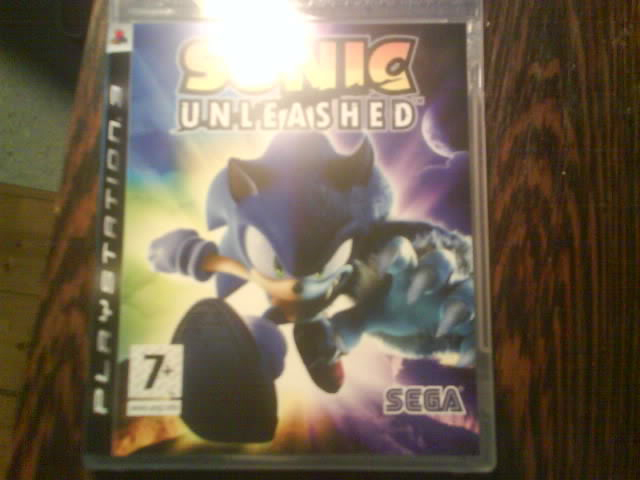 So I got Sonic Unleashed for the Playstation 3 with the mail today. I haven’t played much more than 2hours right now, but the game is a hell of a lot better than the Sonic The Hedgehog game that was released 2006. Sonic Unleashed is at least playable. And enjoyable so far. And I actually enjoyed the first Werehog stage… Its pretty fun. So at least right now its great, I’ll have to check back later to see what I think then, when I have played some more. And can give a real opinion.